Does your business run when you are not there? 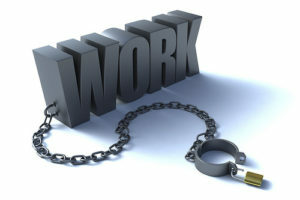 Do you feel like you are chained to your work? We look at and document your business processes end-to-end. 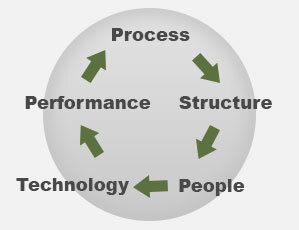 Process: How well defined and efficient are your processes? How well do processes support each other to minimize redundancy and waste? Structure: How well does your structure support or inhibit execution within your organization? People: Do you have the right talent and skills effectively compete and win? Technology: How well does your technology and information enable your people to innovate and create efficiencies? Performance: How does your overall time, cost, and quality measure against peers? By graphically capturing your business processes, we can visually uncover gaps and bottlenecks in most any process. Using a swim-lane methodology helps to further identify individuals or groups involved in a process, create consistency, and end-to-end visibility into the process to ensure all involved understand how their work impacts others in the process. Why Use Swim-Lane Process Mapping? 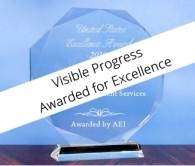 At Visible Progress we help teams learn to use these techniques to document, train and continuously improve their business processes. These techniques help to build and unify teams as well as create a greater sense of ownership for your customer’s experience. We have been able to help customers simplify complex tasks, eliminate bottlenecks or delays, eliminate redundant tasks, reduce cycle times, lower costs, and improve quality….all at the same time.